Rosario graduated from the University of Navarra with a Law degree, specializing in Anglo-American Law, and pursued the Master for Access to the Legal Profession at the University of Vigo. Before joining Mariscal & Abogados in 2016, she worked as in-house lawyer for various companies in the communication and industrial sectors. 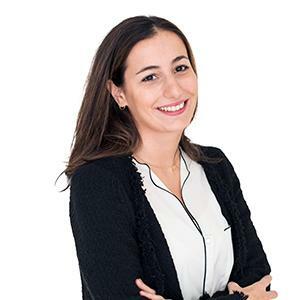 Rosario joined the Mariscal & Abogados legal team in 2016, focusing on the company and commercial practice areas, with a particular emphasis on the formation and incoporation of businesses in Spain. Rosario is a member of the Madrid Bar Association (ICAM) and the Madrid Young Lawyers Group (AJA).